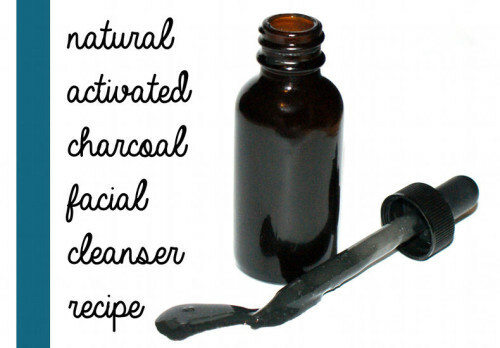 Say goodbye to blemishes for good with this natural beauty DIY for a homemade activated charcoal facial cleanser recipe! Formulated using an organic liquid castile soap as a base, this activated charcoal facial cleanser gently cleanses delicate facial skin while cocoa butter, shea butter and rosehip seed oil nourish and moisturize skin. The addition of both birch tar essential oil and activated charcoal help to balance skin and help to prevent acne so you’re always blemish free. 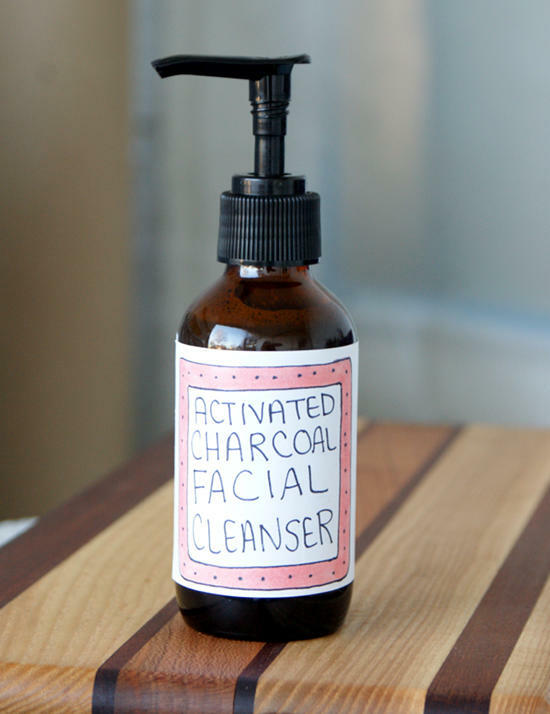 Plus this activated charcoal facial cleanser is perfect for all skin types! 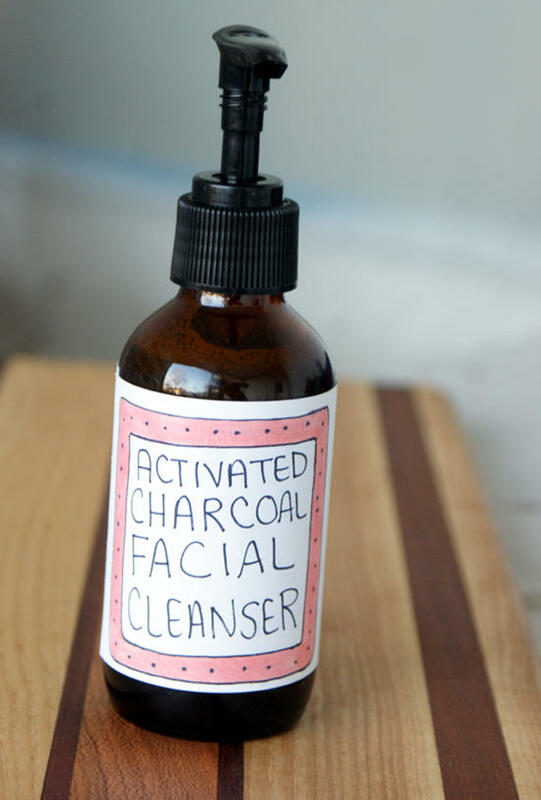 To create this activated charcoal facial cleanser recipe you’ll begin by using a digital kitchen scale to weigh out the cocoa and shea butters. Melt in either a double boiler or at reduced power in a glass Pyrex Prepware Measuring Cup . Then using a measuring spoon , measure out the soy lecithin and stir into the melted butters until it is thoroughly combined. Next, weigh out the organic castile soap (Mountain Rose Herbs carries a good one or you can use Dr. Bronner’s Unscented Baby Mild Castile Liquid Soap) and gently stir into the butters and soy lecithin. Now measure out the rosehip seed oil using a Plastic Transfer Pipettes or a glass dropper and stir in. 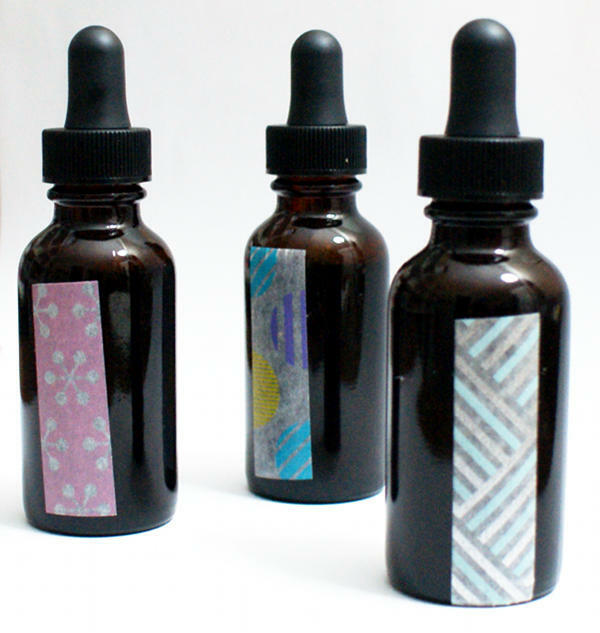 Follow with the essential oils, vitamin E and rosemary extract using a clean dropper for each ingredient. Finally measure out the activated charcoal powder and whisk into the cleanser. Then using a funnel, pour the facial cleanser into one 4 oz. amber glass bottle with a lotion pump – or use small 1 oz. or 2 oz. amber bottles with screw tops or glass droppers for travel friendly facial cleansers – and allow to cool completely. It will thicken some as it cools. To use simply apply to face and massage onto skin, rinse and pat dry. If you prefer a scrub, simple mix with a small amount of sugar in your hand before use. Use daily for best results and to help keep skin clear of acne. If you like my activated charcoal facial cleanser recipe, then you may also enjoy my natural lavender scented activated charcoal facial soap recipe! This palm free soap recipe is crafted using activated charcoal as well as tea tree essential oil, natural Spirulina Powder (or blue/green algae) which is rich in vitamins and minerals and Natural Red Moroccan Clay to help draw out impurities and toxins. In addition, my lavender activated charcoal facial soap recipe also contains rosehips powder for its natural antioxidant and anti-aging properties, chamomile powder to help soothe skin, coconut oil to cleanse and a combination of shea butter and a combination of natural oils prized for their skin conditioning properties. 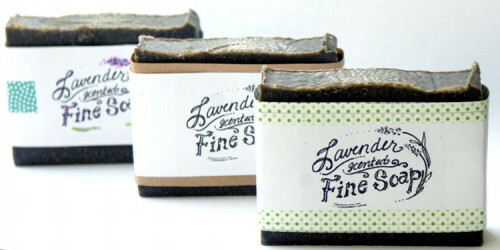 You can find my activated charcoal soap recipe here. Also be sure to follow me on Pinterest for more great DIY bath & beauty recipes every week! Is there a difference between birch tar and sweet birch oil? Yes, they are two different essential oils and offer very different properties. Can we replace the essential oils? Maybe use Lavender and tea tree instead? You’re welcome to swap the essential oils but I did choose them specifically for their properties. Unless you have super oily skin, the tea tree may be overkill and could cause skin to dry out too much. Soy Lecithin is used to thicken up the product so it isn’t runny as well as acting as an emulsifier so the shea and cocoa butter don’t separate out from the soap. It also serves as a mild preservative, is high in B vitamins and anti-oxidants, and moisturizes & softens skin. What could I use as an alternative to soy lecithin? You can use a smaller amount of emulsifying wax. hi! i want to know what is the life span of this product? if ever, what can i add to extend the same? The shelf life will always be the shelf life of the ingredient with the shortest shelf life. You can add rosemary extract and or vitamin e to help extend the shelf life of the oils or use a preservative. Could you add tumeric to this?